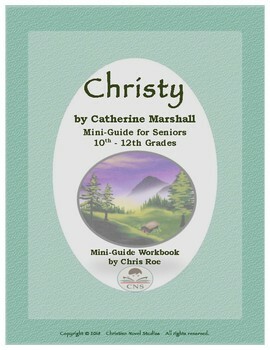 This is a two-week study for the book titled Christy, by Catherine Marshall. In this book Christy feels called to become a teacher at a mission school in remote Cutter Gap. 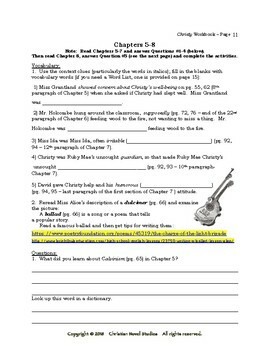 A mini-guide contains vocabulary activities, discussion questions, literature analyses, extension activities, and an answer key. In this workbook format of the guide, space is provided for students to write all of the answers. The content of the guide in workbook format is the same as the content of the guide in interactive format; the only difference is spacing. Mini-guides are used in home schools, co-ops, and traditional schools. Click on the link to browse through all of the Mini-Guides for Seniors.